Every type of commercial or industrial location that uses fuel drums knows how fragile they can be. Drum contents are often valuable and may emit hazardous fumes, so it is vital to protect their contents from external contaminants, as well as protecting the surrounding area. The Workplace Depot is excited to offer the Drum Cover, a simple but reliable tool that can help protect drum heads and contents for increased safety. What is The Purpose of the Drum Cover? Available for both open and closed head drums, this product is very versatile and will prevent drum heads and contents from being tampered with, as well as locking out any external debris. 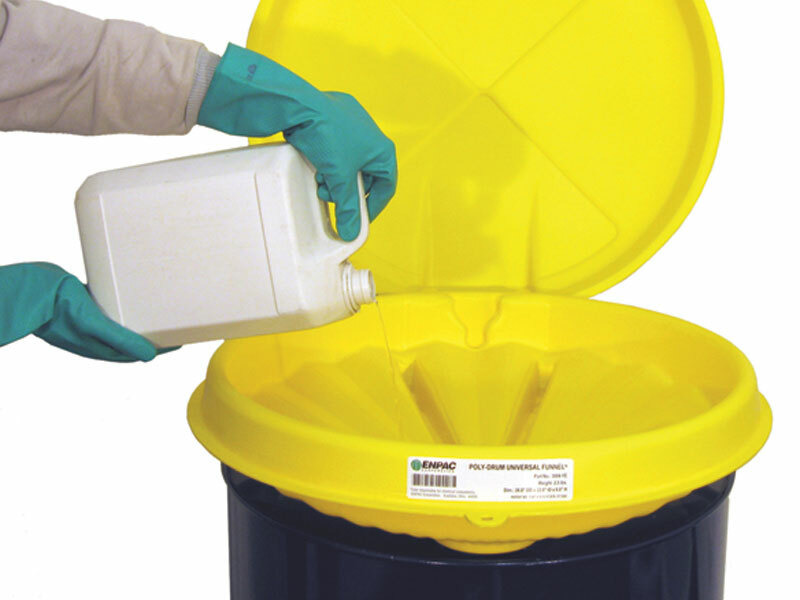 Protecting drum contents from contamination via moisture, grease, dust, dirt, grime and the elements, this product ensures the safe handling, storage and transport of hazardous drum contents. Numerous commercial establishments frequently have fuel drums on their property. Construction sites, warehouses and factories are all tasked with transporting and storing drums on a regular basis. This product can make a great addition to any of these locations. 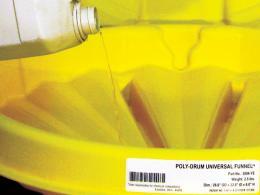 Even areas which only encounter fuel drums rarely may sometimes need a way to protect hazardous liquids from spilling and contamination. This compact unit won’t rust or deteriorate and can provide years of reliable use. This product is quick and easy to install by any team member who has to handle fuel drums. Its patented scalloped design with high side walls allows water to run off and consequently prevents damage to the drum cover. Any construction manager who is looking for new pieces of equipment to improve their business can benefit from this cost-efficient and practical attachment. This product fits both open and closed 210-litre drums and features an optional lockable cover. Externally the drum cover measures 660mm x 140mm, with internal measurements of 560mm x 102mm. Many customers who buy this product also choose to buy our corresponding polyethylene universal drum snap on funnel cover, which helps to fill drums without splashing. We can deliver the drum cover within 5 working days and we promise to match any price. 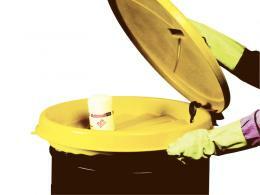 We also provide a one-year guarantee, so protect your drum covers and their contents today!